hey guys, happy saturday night. i hope you’re planning a night of fun whether it’s settling in at home or gearing up to paint the town pink. it’s been close to a month since getting back from paris, and some of the subtleties of spending a chunk of time in the city have sunk in on the subatomic level. it seems like each time i go there’s a slight change for the better. i’m a teeny bit more polite, a lot slower paced and definitely less wasteful. to make sure the changes stick, i’m jotting down a couple notes for reference. living in nyc for so many years, it was the direct opposite experience so i’m consciously undoing years of deep conditioning. 1. some believe the french are rude and dislike americans, but i find the opposite is true. it’s amazing how truly kind the french can be, especially if you give their language the old college try. you can actually have light conversation with anyone by just mastering the daily pleasantries: allo, bonjour, bonne journée, bon soir, bonne soirée, comment–allez vous, ça va,, très bien, merci, et vous, ah, bon, ah, oui, merci, de rien, je vous en prie, pardon, a tout a l’heure, d’accord, bon appetit, salut, vous aussi, au revoir, à bientôt et ooh la la! 2. the development of infinite patience: it’s almost a meditation, especially for this hardened new yorker. it’s amazing how the french wait on line without huffing, the way they’ll spend time with a customer whether they buy or not, and the fact that they are generally just not pushy people. the second i got to the airport it was a completely different world where everyone had to be first and would sooner run you over with their luggage cart than let you merge ahead, and although it goes against my grain to be patient, it’s one of the traits i’m kind of enjoying practicing. 3. keep it down: i think we’re just pretty boisterous people as americans. we’re jovial, congenial, fun loving and down right loud about it. the french on the other hand are subtle, private, quiet and intimate. in public they speak in hushed voices and are respectful of other conversations. the other day i was on the phone before a plane took off and had no idea how loud i was talking till the lady next to me got annoyed. note to self. shut up! 4. don’t fester: the french are expert at sitting quietly and neatly in place. it’s another form of meditation to make a conscious effort to act like a french woman and that means not twirling my hair or messing with my nails. 5. to-go cups and plastic bags: the french are never seen with either of these. they’re both badges of dishonor showing a lack of concern for the environment and general bad taste. 6. less bling: other than jewelry, the french keep their clothing simple and sophisticated with solids or stripes, and not much in the way of embellishments on shirts and shoes, jean pockets or jackets. after all these years i’m finally starting to understand their look. it’s taken a long time to dissect such a simple style. 7. using what you’ve got: i’ve never seen anyone make better use of a tiny scrap of tissue, newspaper, bubble or old tape to wrap my flea market purchases. somehow there always seems to be be enough even when there is very little. 8. meticulousness: this is maybe what hit me most this time, the way that everything the french do is just-so. everything is handled with care. whether it’s the way they clean streets, sew seams or make conversation, it’s all done with an air of elegance. i think it’s in these little daily rituals where the ordinary can become extraordinary and the french have mastered the art of living. well ok, that’s it for my observations tonight. i was just in the mood to relive a little bit of it before it wears off. they say when you write it’s more permanent so i’m hoping this will help seal the deal. have a wonderful weekend and i hope to stop by to see you tomorrow! June 27, 2010. France, Living, Paris. I love this posting. And it makes me really want to go to France. I appreciate all of the qualities you’ve mentioned. I recently attended a wedding in the Midwest, where the groom was French. There were about 20 French visitors who had come to help the happy couple celebrate, and they were all really lovely. My friend’s new French son-in-law can’t get over how much we Americans work, work, work. When he’s tired or he’s had enough of doing a task, he stops. He listens to his body and spirit — what a concept! So much healthier. And when you slow down, you can really appreciate the little things in life more. I think it would be wonderful if Americans could put away their cell phones, put away their Daytimers, and slow down a bit. June 27, 2010 at 4:23 am. Permalink. Sensible and stylish people the French! Really love that image you’ve used. June 27, 2010 at 5:29 am. Permalink. Having a French husband, I have seen him get huffy when having to wait in line and leave or get really irritated with sales people. Maybe that’s just him. It is definitely a different pace of life and food is such a huge center of their lives. June 27, 2010 at 5:47 am. Permalink. June 27, 2010 at 6:09 am. Permalink. I follow your blog through google reader but this is the first time I’m commenting. Loved this post & had to tell you how very accurate it is. Especially when it comes to the stereotypical ‘rude’ French person. Hving worked with French people for some years, I did come across the odd, arrogant, Frenchman/Frenchwoman. But on the whole I always found some of them to be the kindest & nicest people and have many, many dear friends from France. On a recent (and first) trip to Paris I had a chance to be there and see for myself that stereotypes are just not true. Agree with you that they’re so meticulous and I too love their laissez-faire attitude. June 27, 2010 at 6:34 am. Permalink. June 27, 2010 at 7:55 am. Permalink. June 27, 2010 at 8:01 am. Permalink. June 27, 2010 at 9:14 am. Permalink. Great Post Claudia, really well written and thought provoking. It’s true the Americans do have a little bit of an unflattering image in Europe, brash, loud, demanding. But as a proud European, I can honestly say that we do admire the Americans for their faith and belief and pride in their Country and fellow citizens. And after all, a large amount of Americans are descended from the Europeans who travelled to the Americas all those years ago to build a new country. So really. We are you and you are we. June 27, 2010 at 9:38 am. Permalink. Fab! That’s been driving me nuts! crocheted, crocheted, crocheted. Got it. I love old grandma style blankets, they keep my toes nice and warm while I’m reading and add a nice splash of colour and comfort. My Ma crochets too. Aren’t we lucky to have such skilful mothers? perhaps we should let them teach us? It’s very trendy you know, all the art students in London do it now! I can’t wait to flea with you too Claudia, I promise, once the baby is a little older I will come join you in Paris for some serious flea hunting, then I’ll drag you off to Brussels were all the REAL bargains are! June 28, 2010 at 8:01 am. Permalink. June 27, 2010 at 3:15 pm. Permalink. Claudia, thank you for this post. I will be traveling to France in a couple weeks and will be in Paris – with no plans – in an apartment for one week. I am looking forward to the relaxing, calm atmosphere. I’ve been drooling over your posts about decor and furniture shopping in Paris. Could you please direct me to some of the best locations for flea market finds? June 27, 2010 at 4:06 pm. Permalink. By the way, I think you are lovely just the way you are! June 27, 2010 at 5:48 pm. Permalink. June 27, 2010 at 6:13 pm. Permalink. June 27, 2010 at 7:12 pm. Permalink. This post is rather fantastic. All of these are great observations. 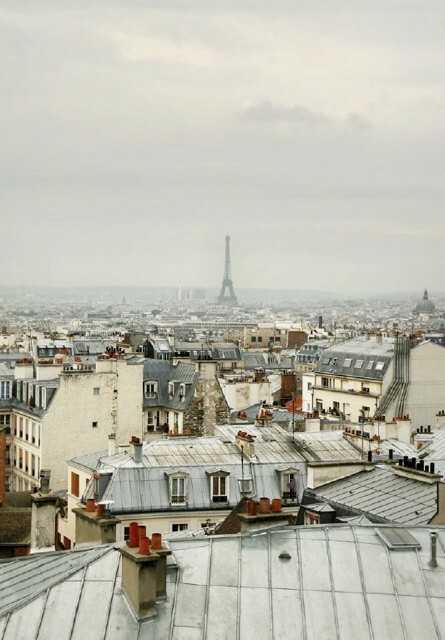 Though, I’ve sadly never been to Paris I am planning on getting there someday when I travel Europe. It seems so gorgeous and when you explained all of this it made me want to go even more! Though you didn’t take the picture it is quite beautiful. I completely agree…when you have these types of things on your mind it’s best to write them down when they’re fresh. June 27, 2010 at 7:43 pm. Permalink. As a french girl , I don’t see all these positive points but it is so good to read your american point of view . It is so positive . June 27, 2010 at 8:21 pm. Permalink. Words – and thoughts – to live by! Very nice and thoughtful list, Claudia! June 27, 2010 at 9:18 pm. Permalink. Yes, you’ve nailed it. You’ve highlighted the best of all things French. It all strikes me as terribly authentic and sophisticated and something I strive for too. Thanks for bringing it again to the forefront. I hope my very comfy shoes with a wee bit of bling won’t stand out next month! June 27, 2010 at 10:32 pm. Permalink. June 27, 2010 at 11:20 pm. Permalink. June 27, 2010 at 11:21 pm. Permalink. It is just the very same for me upon my arrival. The noise and hussel bussel . You are so amazing …. I aspire to be you! June 27, 2010 at 11:54 pm. Permalink. I am home from a week in PAris and I agree with you. They are kind and helpful people and if you just remain calm and polite and not too loud they will love to take time to help or talk to you. I love the slower pace, the relaxing over food, the quiet small talk. I love the style in the displays and windows and in the various ways of tying a scarf! June 28, 2010 at 1:24 am. Permalink. Yeah, but I bet the jersey tpk would get their knickers in a twist. June 28, 2010 at 2:37 am. Permalink. June 28, 2010 at 9:47 am. Permalink. When I see these photographs, I fall short of words to discribe how I feel, it’s awesome, mesmorizing, like a dream that you don’t want to wake up from. Thank you for them and for this site. June 28, 2010 at 2:24 pm. Permalink. June 28, 2010 at 4:01 pm. Permalink. June 28, 2010 at 5:06 pm. Permalink. Great post. Makes me want to get on a plane. Thank you for stopping by. This had been one tough year but I am so glad that “the latest” was the best news yet. Benign! June 29, 2010 at 1:33 am. Permalink. What a beautiful post. All your points are so well made and inspire one to do better. Merci. June 29, 2010 at 3:33 am. Permalink. I loved this post. You have reminded me of all the little things I love about Paris. June 29, 2010 at 3:11 pm. Permalink. I was born in the USA and am American, but I come from a French family[my father was from Brittany]and I can’t tell you how much this entry hit home. I think most Americans are loud and obnoxious and that France is a very polite country..Hello..La Politesse?? Solids and stripes for clothing…LOL! I just checked my closet…ALL solids and a few stripes…Merci!!! June 30, 2010 at 4:28 am. Permalink. WONDERFUL post… i so agree with your thoughts and in general… let’s be more polite and kind to one another… it is soooooo easy and takes so little effort. our world would be a much better place. June 30, 2010 at 6:35 am. Permalink. June 30, 2010 at 3:23 pm. Permalink. Thanks so much for your recent comment on my little blog (pretty dirt). I’m honored. I read your book The Paris Apartment years ago and just loved it and was so inspired by you. Congratulations on all of your successes! June 30, 2010 at 6:27 pm. Permalink. How delightful it must be to be among a people who know the meaning of discretion, and who do not bombard you with their personal histories and lists of what faux mental disorders they have and what psychotropic drugs they are on for their ADD and bi-polar disorders, etc, etc- ad nauseum! June 30, 2010 at 7:23 pm. Permalink. hey elizabeth, i had to reply to this as it’s one of my pet peeves too. you don’t see ads for drugs and medications on tv in france and it’s such a relief. i hate that we are so medicated here and feed pills to kids like they’re candy! not to mention mixing ‘cocktails’. when did we get to be so dependent on pills to define us? July 1, 2010 at 1:41 pm. Permalink. Claudia, I just love reading your posts. It’s so interesting to hear about the rituals and social graces is fascinating. I sometimes think we (Canadians) are way too informal–especially on the West coast. It wouldn’t hurt us to stop wearing our yoga pants to the grocery store (guilty)! July 1, 2010 at 1:25 am. Permalink. i may be guilty of that too, but will try to do it only after yoga class! July 1, 2010 at 10:19 pm. Permalink. I love Paris as well. It’s become my home-away-from home … sigh … I’ve been 8 times now and love it more and more every single time. July 3, 2010 at 4:18 pm. Permalink. July 4, 2010 at 2:04 pm. Permalink. Your post made me think of how I felt when I returned to Europe after having lived in the US for a year. What a shock! First off, I took an Air France flight… and I sure wasn’t used at being asked something and looked at straight into my eyes. I had gotten used to California and its “how are you?” followed by no real listening and no real interest in the answer. So when the French flight attendant said “are you all right?” and then stopped to actually listen to the answer and look at me in the face when I was speaking I instinctively shied away. Next thing, I landed in Paris. No take away, no food to go (for the most part, unless you WANT to eat and actually stroll), nobody rushing you out of a table or looking at you in a bad way if you all of a sudden don’t feel like finishing the meal you selected but want something else. And the people, oh, the people. Looking at you straight in the eyes, expecting you to be real, and pleasantly smiling at your attempts to remember the language after so much time away. I love France. I love how rational AND emotional French people are. I love how passionate AND cool French people are. I love how serious but at the same time light French people are… they are all lost in important inner quests, and everything they do they do it with their guts too, not just with their brain. To them, time is an individual measure, whereas feelings and being “all right” are an absolute must. So different from the Americans! Americans are more naive but also massively tuned out. No French person will ever mistreat an American for being a US citizen. What they mistreat Americans for is the being tuned out part, which to a French is a sin. July 6, 2010 at 3:44 pm. Permalink. I have always found the French to be very nice. I remember on one visit coming home and saying the rudest person the whole three weeks was the airline gate agent in California! I come home and always miss having a coffee in the afternoon (seated in front of a restaurant or bistro NOT a “to go” Starbucks) and especially miss the wonderful food that is everywhere. July 6, 2010 at 9:56 pm. Permalink. July 7, 2010 at 12:37 am. Permalink. October 8, 2010 at 2:24 am. Permalink. June 19, 2013 at 11:00 am. Permalink.